One of the last buildings legendary architect Saarinen designed before his death in the early 1960s, the original complex was constructed as headquarters for AT&T and Bell Laboratories. 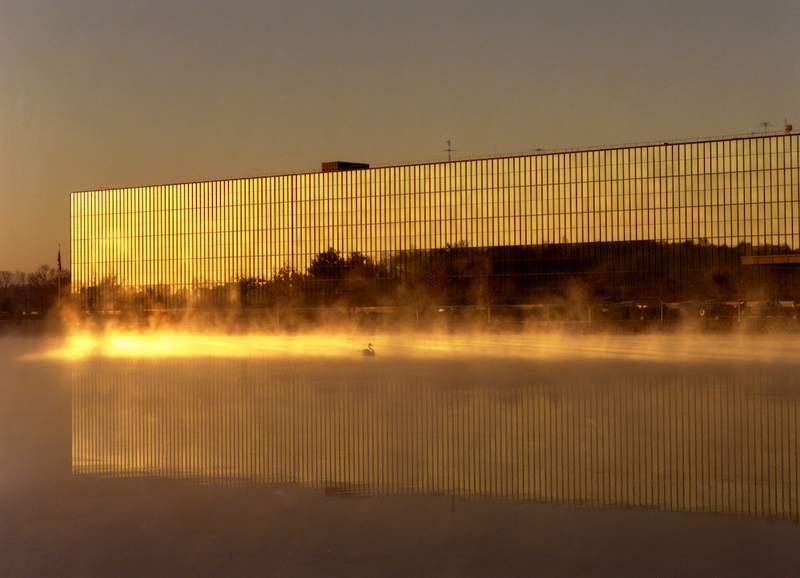 The historic Eero Saarinen-designed Bell Labs building in Holmdel, New Jersey, opens Bell Market today, a food hall operated by the RBC Hospitality Group—run by Chef Richard Corbo (Gary Danko, Tribeca Grill, Union Square Café), sommelier Chantelle Corbo (L2O, Upland NYC), Chad Spencer (Ame, Gary Danko, Michael Mina, Bacchus Management Group), and Jeffrey Sytsma (L’Atelier de Joel Robuchon, Oceana, Bien Cuit). The new, 6,000-square foot dining destination houses five culinary experiences: Broadfork, which focuses on greens and grains; a NYC-inspired Bubz Deli; Corbo & Sons, serving wood-fired Italian fare with an emphasis on Roman and Neapolitan-inspired pizzas; Honeybell Bakery; and Jozu, which serves temaki, ramen, and robata. One of the last buildings legendary architect Saarinen designed before his death in the early 1960s, the original complex was constructed as headquarters for AT&T and Bell Laboratories. Its mirrored exterior became its defining design feature; the building, which sits at the core of the 2 million-square-foot Bell Works complex, a commercial and hi-tech work hub, was listed on the National Register of Historic Places last year. It’s #NationalCheesePizzaDay on our favorite day of the week! Tag a friend you want to be cheesy with 😋 #corboandsons is open from 2-8 today!